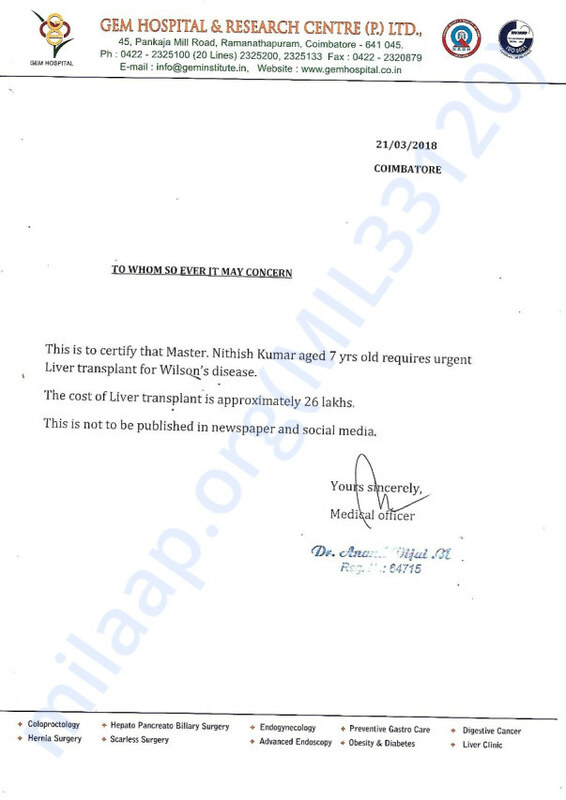 7-year-old Nitish Kumar, son of Rajakumar alias Senthil Kumar and Sujatha, has been diagnosed with Wilson disease and needs a liver transplant to be done at the earliest as his liver was damaged and not working on optimal conditions. The parents had lost the elder one exactly for the same reason and this time they are determined to save the younger one at any cost, the mother is good enough to be a donor but they are left with the huge financial troubles to climb. Nitish is already in a critical stage. He has been advised to urgently undergo a liver transplant in order to treat his condition. 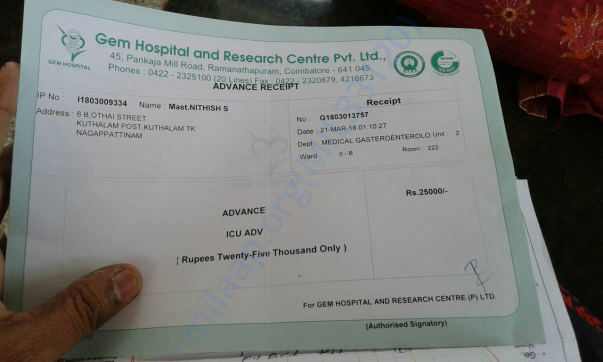 His father works as a driver with an income of Rs 4000/- per month and the total money required for this transplantation is Rs 26 Lakhs. He is not able to manage this huge sum on his own and is seeking help from the society. Help raise funds for Nitish's transplant. Your contribution can give him the treatment he deserves. Thank you for your wonderful love and support. With inexplicable grief, I'm having to inform you all that Nithesh passed away on 2nd May, 2018. He has a clot in his brain which complicated his condition and he went into coma. The doctors gave him the best treatment possible, but in the end, e couldn't save him. 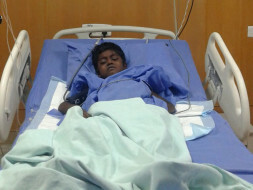 He was supposed to undergo liver transplantation on 4th/5th May. But his health kept worsening and we lost him. Thank you all for your prayers. It means a lot to us.